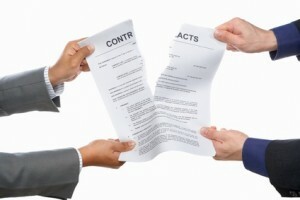 The value of a lease agreement is stated right on its face. But did you know that’s not what you’re likely to get if a tenant walks out on the lease? There simply is no sitting back and waiting for the lease term to end while the rent accrues. The landlord must jump into action, restoring any damage, finding a new tenant, and getting that rental property back into service as quickly as possible. While damage caused will be charged to the tenant, whether an individual landlord can deduct those charges from the tenant’s security deposit or rent deposits must be determined on a case-by-case basis. There are local rules for handling security deposits. For instance, if the landlord didn’t given proper notice of the deposit deductions, it may be illegal to take the money. The best practice for all landlords is to rely less on the lease agreement, and more on their tenant screening skills. Make it a priority to look for tenants who have a good rental history. This is demonstrated by a list of previous addresses that does not show unusual lease terms or gaps. Track your advertising expenses and the cost of tenant screening reports when finding the new tenant. Make sure your rental application captures the information needed to collect a judgment against the tenant. That includes verification of the tenant’s legal name, employer, bank info, credit and personal references. In Ontario the reality is a landlord whose tenant has broken the lease has little effective recourse. The tenant does not have to give any forwarding information, (meaning the landlord cant find the tenant to serve them legal notice), the landlord/tenant board refuses to hear an application from a landlord once the tenant has vacated (but will hear an application from a tenant a full year after the tenant has vacated), and collection companies are reluctant to collect from a tenant due to low rate of success (leaving the landlord with little means to collect on a judgement anyway). This is another reason why I always ask the tenant for their SIN. I make it clear they do not have to give it to me, but I cant do a through credit check without it. The tenant knows that when I have their SIN, they cant simply disappear. Consequently I have had very few issues.